How may God lose himself without losing anything of God’s ? This is how Dimitri Andronicos expresses the central question of kenotic christology. 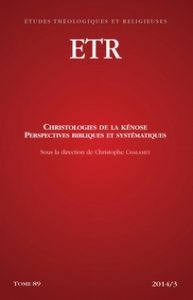 The great theological tradition, essentially of the « crypsis » school, reaches an impasse while many radicalisations of the reflection about kenosis contain a promise, particularly an existential promise, which deserve consideration, since they tackle what God, in his humanizing process, has to strip himself of. The risk of these radical interpretations, like that of Godet’s, is the inability to maintain the paradox of incarnation.